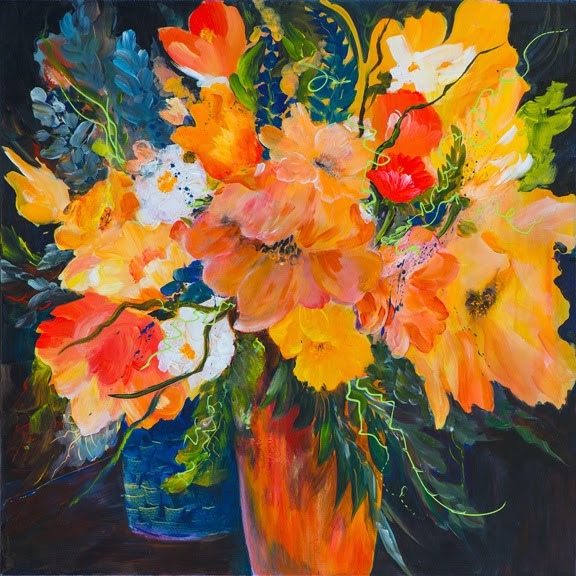 The Fifth Avenue Gallery is pleased to announce that Karen Leffel- Massengill, an award winning oil painter will be the guest artist in the month of May. Karen's work focuses on the beauty of the landscapes in Florida with special emphasis on the value of light. Originally a watercolor artist, Karen brings the sense of beautiful light, shadows, and luminosity to oil colors. She uses soft but bold colors and is always looking to "catch the light". Karen knew she always wanted to be an artist but life, children, and a career in nursing kept her from her dream until the sudden death of her husband in 1995. To help with the grief, Karen turned to painting and soon joined the art show circuit. She has won many awards and her painting "Summer Light" appeared on the cover of Watercolor Magic magazine in 1998. She has also taught both watercolor and oil painting. The Fifth Avenue Art Gallery will be sponsoring a 2 day workshop to be held at Ralph's Art Supply May 12 and 13. For more information contact Fifth Avenue Art Gallery.